Homemade refried beans are a favorite in our home. 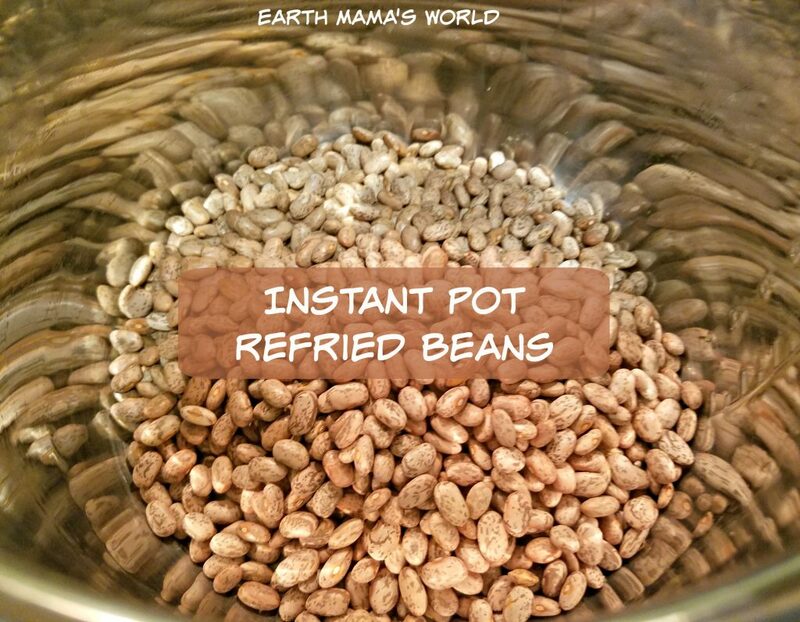 I have been making refried beans in my slow cooker for years, recently I decided to try cooking them in my Instant Pot. I was extremely pleased with the results of this new cooking method. Instant Pot refried beans are so easy to make. They taste awesome and are very easy on our food budget. 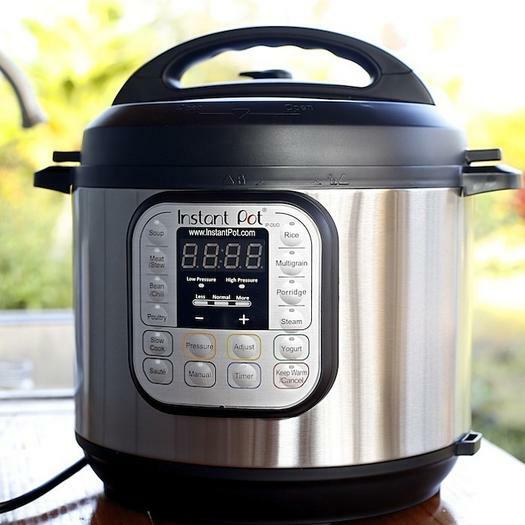 I have had my Instant Pot for over a year and use it almost daily. Yes, almost daily! You can read more about why I love this gadget here. This post contains affiliate links. They cost you nothing and help feed my family! You can purchase an Instant Pot over at Amazon. You will want to shop around as there are several different models available. I even heard that the 2017 model will have a cake button, WOW! Okay, so back to Instant Pot refried beans. This recipe calls for only a handful of ingredients (you can print the recipe at the bottom of this post). Dry pinto beans. Yup, dry beans…seriously. A few veggies and spices. Add a bit of water then set the timer for 60 minutes then walk away. 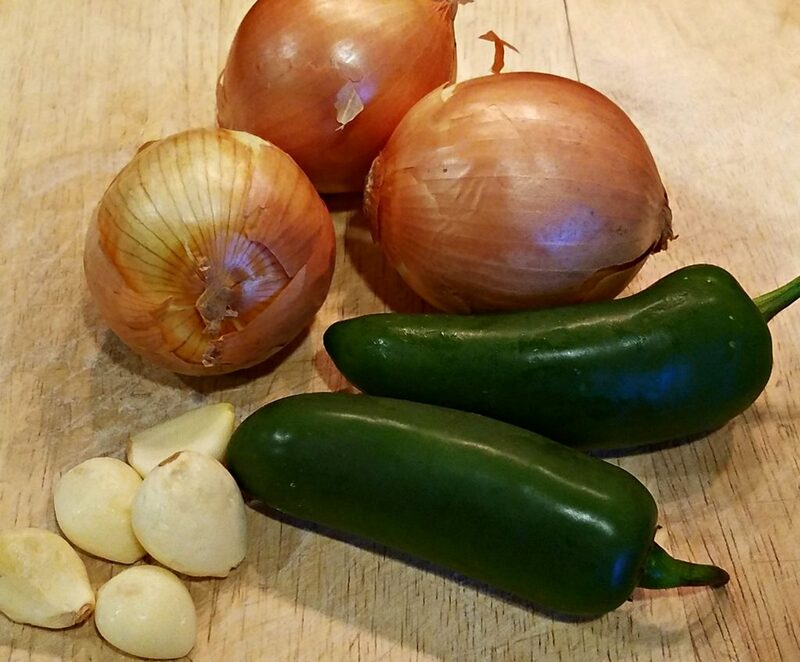 In a little over ONE hour you will have yummy, healthy, delicious refried beans ready to chow down on. You will probably have left-overs too. I love it when that happens. You can make as big or as small of a batch as you would like. I prefer to make a big batch and save some in the fridge for lunches throughout the week. Quesadillas, tacos, yummmmm. As I said making Instant Pot refried beans is easy. Really really easy. You can skip this step-by-step and print the recipe at the bottom of the post if you would like. 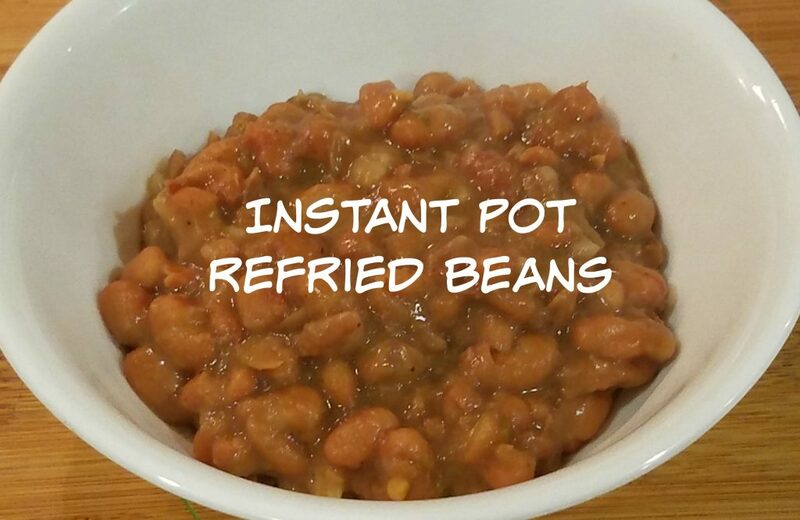 First, dump your dry pinto beans into your Instant Pot. You seriously don’t have to follow the measurements in my recipe. You can add as much or little as you would like, the cooking time stays the same. Next, grab your veggies. I use onion, jalapeno, and garlic in mine. I do admit that I usually make two batches of beans, one for the kids and one for Shane and I. We prefer spicy, the kids not so much. I throw my veggies in a food processor so they are really cut up, this step is totally optional. Add your veggies to the dry beans. Now you will add your spices and water. A lot of people ask me about the water. I cover the beans with about 1 to 2 inches of water. Sometimes I am cautious because I worry about the beans being to dry and I add too much, it’s totally fine. 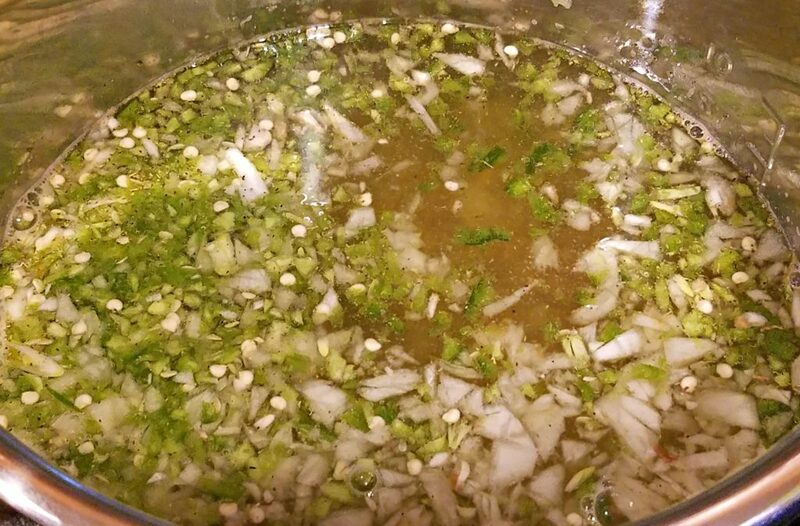 Once the beans are done cooking if you end up with too much water you can ladle it out before you mix up your beans. When this happens to me I reserve a bit in case I need to add liquid when I am mixing to reach my desired consistency. Finally, place the lid on your Instant Pot..make sure it is sealed! Push the bean button, or manual high pressure, and set for 60 minutes. 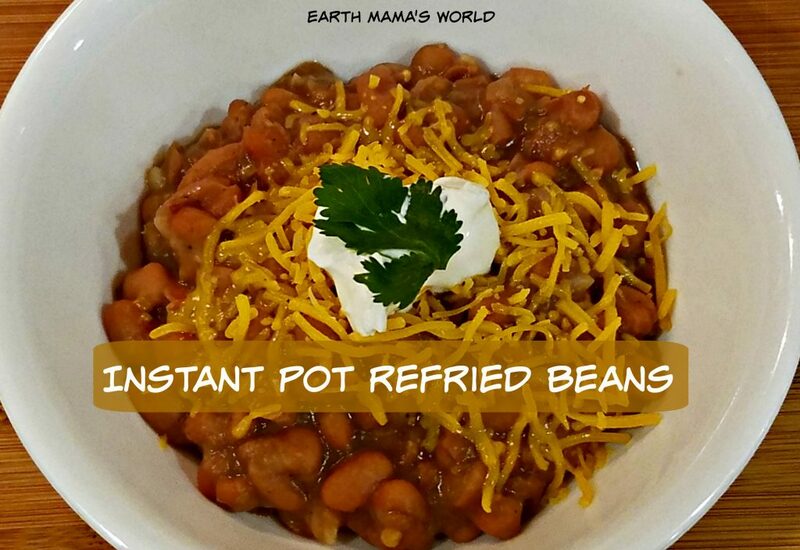 Now, you can walk away and let the Instant Pot work its magic! In a little over an hour you will hear the timer go off. If you are busy you can allow the pressure to release on its own. If you are hungry you can do a quick release and get on with things! Once the pressure has been released it is safe to remove the lid from your Instant Pot. This is when you will assess how much water is remaining. If there is a lot ladle it off, if there isn’t you are good to go. I use a hand mixer to quickly mix up the beans. I still enjoy having chunky beans but you can totally mix them until they are the consistency of store-bought refried beans, it’s up to you. You can now add any toppings that you like and serve up your beans. Look out taco Tuesday or meatless Monday here come the bean tacos, quesadillas, pretty much yumminess any way you want it! 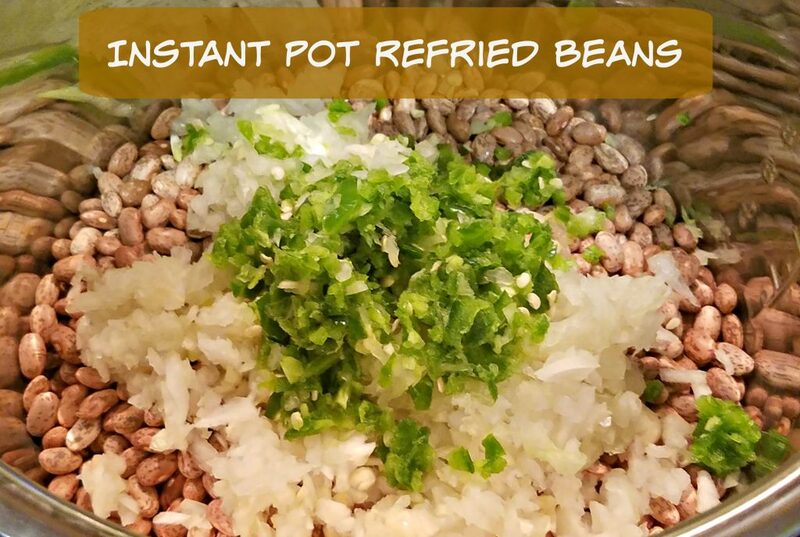 Making refried beans in the Instant Pot is fast and delicious! This is a real food recipe that is sure to please even the pickiest of eaters. Add all of the ingredients to your Instant Pot or electric pressure cooker. Stir then seal the lid. Once done cooking you can perform a quick pressure release or allow it to release naturally, your choice! Once the pressure is released, carefully remove the lid. If you need to remove a bit of water go ahead and do that now. This depends on how thick or thin you want your beans. Use a hand mixer or fork to mash up your beans to the desired consistency. I hope that you enjoy this recipe as much as I do. If you have any yummy Instant Pot recipes I would be stoked if you would share them in the comments. To see all of my recipes please click here. To see all of my Instant Pot recipes please click here. ← August 2016 In Photos: NOT Back to School Fun! I appreciate your InstantPot Recipes! I save them all to Evernote. I am glad that you like them!! 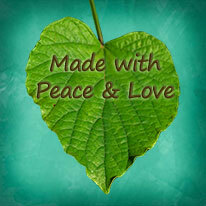 Vegetable Black Bean Soup, With A Valentines Day Twist!